This brand is all about love stories. Moseley Photography’s goal is to tell one happy couple’s unique love story with each set of photos. 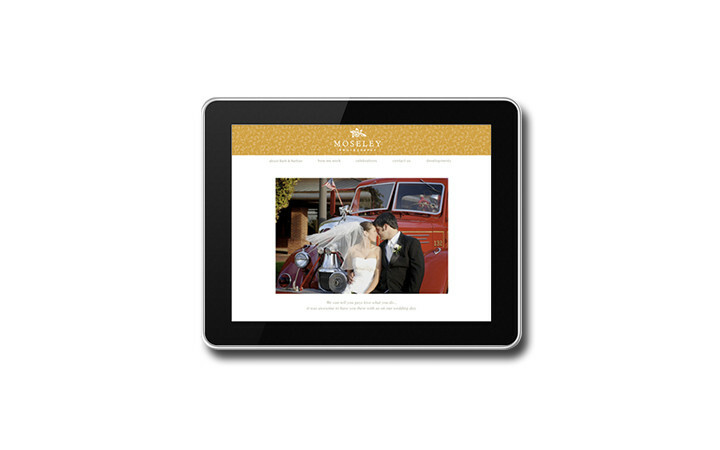 “We’re proudest of our work when it reflects the bride and groom and what they feel for each other.” A majority of wedding photography sites have a similar look and feel to them—and Moseley Photography knew it was important for theirs to be different. 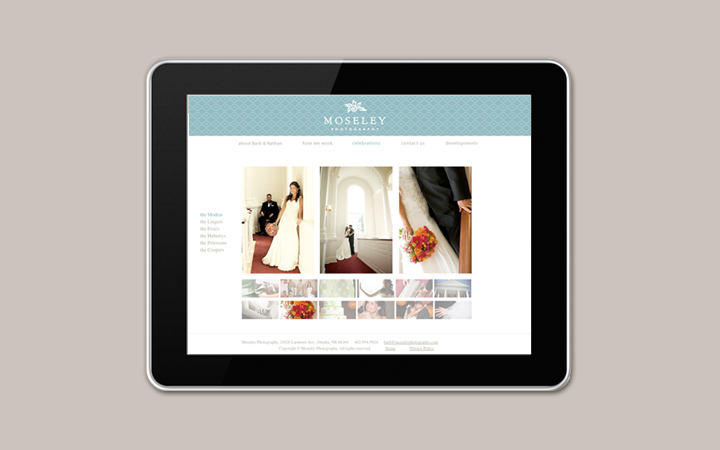 They wanted the viewer to know right away that Moseley was the very best choice to capture their beautiful day. 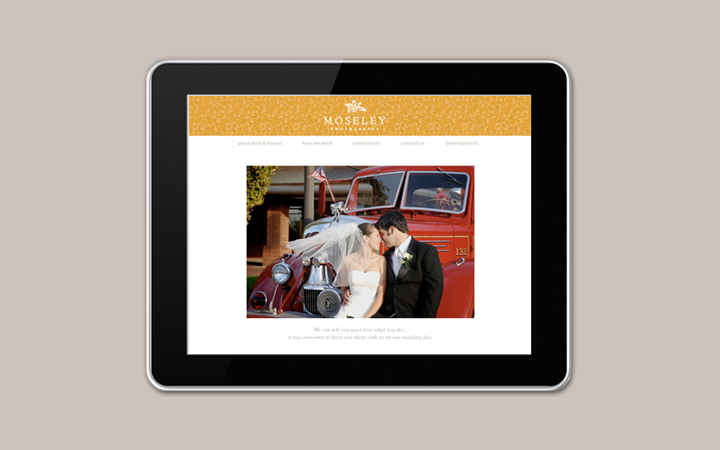 Moseley Photography needed a new brand and website that would help them stand out from the multitude of wedding photographers in the region. The site would showcase their simple and beautiful style of capturing a once in a lifetime day. Starting with the logo, we created a unique and modern visual. A simple bouquet-like icon compliments the elegant type, which we customized for their name. An expanded color palette was also developed. 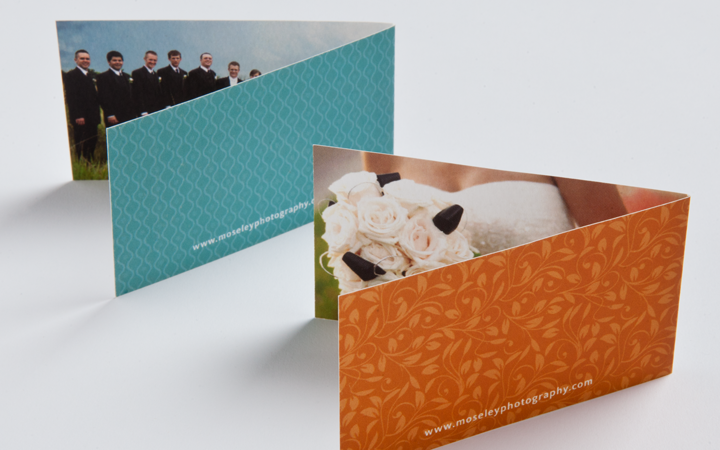 The new mark established a refreshing point of view that would appeal to the right potential clients. 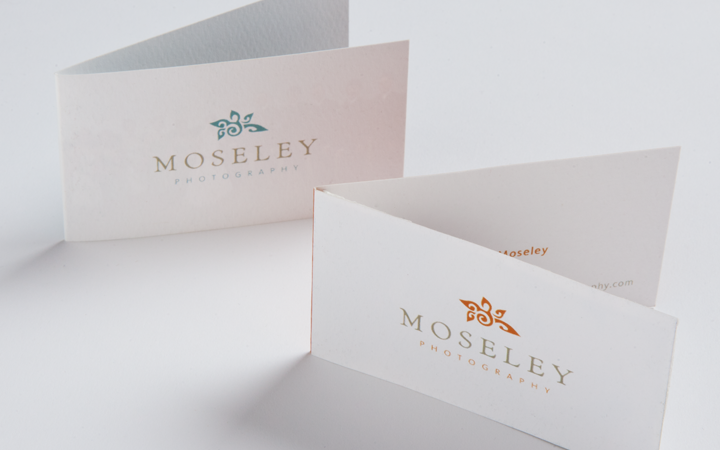 It is simple, distinctive and beautiful—just like every wedding Moseley shoots. For the website, we created a customized set of patterns to compliment the established feel and add a touch of charm. A refined grid neatly displays different celebrations and provides the visitor a quick view of multiple work samples. Small thumbnail images enlarge instantly with just a click. The end result is a brand that helps the potential customer begin to imagine how their own love story could be captured.